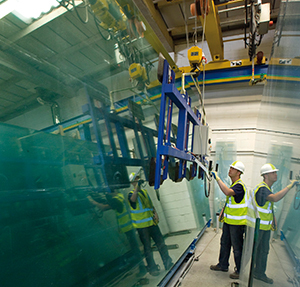 Tufwell Glass stock a range of specialist glass also known as ‘smart’ glass, LCD glass products are in wide use around the world, both in private homes as well as offices. 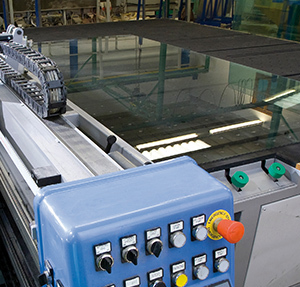 Electrically operated LCD specialist glass is a laminate consisting of at least two sheets of clear glass and an LCD film sandwiched between at least two plastic interlays. The system is powered by uniformly distributed transformers (quantity depends on the glass area covered) and is clear when in the ON position. When OFF, the glass defaults to opaque, affording privacy without sacrificing light. Shapes: Limited. Subject to application.